It has been already 2 months since I've been experimenting with bitcoin cloud mining contracts on HashFlare.io. In today's article, I will share my observations and concerns about this cloud mining program. Disclosure: This article contains affiliate links to hashflare.io cloud mining website, by clicking on links on this page and by making a purchase on hashflare.io, I will earn a 10% affiliate income at no cost to you. Also, I'm not a financial advisor and I don't give you any advice, I'm just sharing my own experience. Investments in stocks, funds, bonds or cryptos are risk investments and you could lose some or all of your money. Do your due diligence before investing in any kind of asset. I should note that I have been exposed to crypto investments since the second part of 2017, at the start with the simple buy and hold, later experimenting with day/swing trading, extending to building a custom GPU mining rig and last, but not least - investing in cloud mining contracts. Dude, this has been one crazy cryptocurrency investment year - at least for me. Starting simple buy and hold operations on Coinbase.com, extending to swing trades, crypto lending and now at the end of December 2017 ordering details for 12 GPU mining rig. I thought - that's it, there is no way more I could expose myself to cryptos. Turns out I was wrong, as there are still cloud mining contracts available. Now, during the past two months l have explored other crypto options, with Gekko Trading bot being the latest discovery for my crypto activities, but now let's return to the hashflare.io review and see how did it go for the past two months. During the past 2 months, I have increased hashing power for Bitcoin SHA-256 mining contract from 0.23 TH/s to 1.19TH/s using kind of dollar cost averaging and income I've made from HashFlare.io referrals. In fact, the total income from referrals is much greater than income from actual cloud mining. That concerns me a lot, and lately, I keep worrying how legit hashflare is after all? 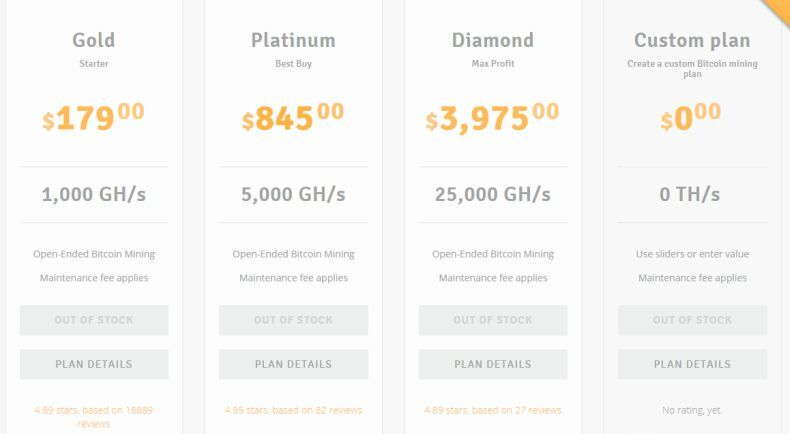 There are many ponzi scheme signs - like how comes there is an always available increase for hashpower, while for other cloud mining contracts there are always sold out cloud mining contracts and to buy a new cloud mining contract some need to wait some 3 months. and taking the cash in..
You probably have heard about bitconnect scam case ( BitConnect — Anatomy of a Scam) and right now the business model of hashflare for me seems somehow similar to bitconnect. Now, if you are concerned about always available hash power increase on HashFlare.io - I wouldn't recommend actually to invest here. In fact, to clarify these questions I've decided to contact hashflare directly and raise these questions, make sure you subscribe to web push notifications or e-mail newsletter below to not to miss an important update. It should be noted that earnings on Hashflare.io are made in BTC, so the total value of earnings in USD depends on BTC/USD exchange rates. If BTC goes up in value, so do earnings in USD, if it goes down, so do earnings in USD. There is also a daily maintenance fee to be paid for BTC mining on Hashflare. With the current BTC/USD exchange rates, I've made in profit $40.12. I should note that the direct investment from my pocket in Hashflare.io BTC cloud mining contract is $94.60, and total hashing power 1.19TH/s. 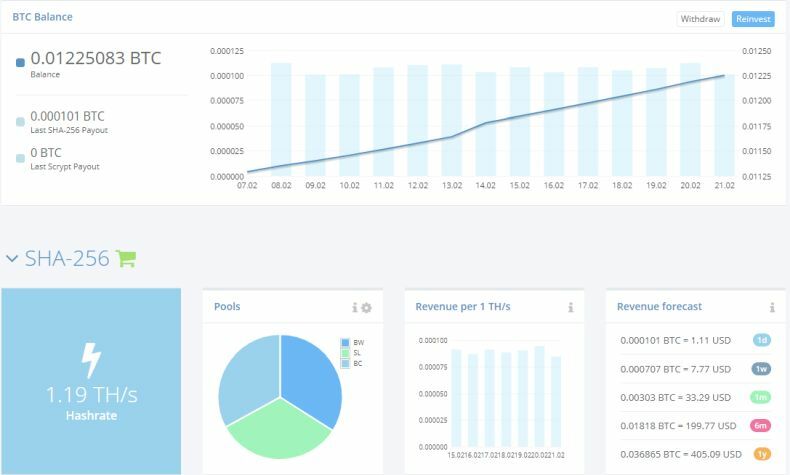 Let me explain, I opened a cloud mining contract by purchasing 0.23TH/s hashing power and investing $50.60 + at the start of each new month (January, February) I invest additional $20 to purchase additional 0.10 TH/s hashing power, also I reinvest 50% from profit in additionally hashing power. Now, the fun part comes from the hashflare.io referrals, which actually have earned me way more than direct cloud mining. From my previous articles about hashflare.io, there have been in total 12 referral signups, earning me 0.02176574 BTC. Half of that I've reinvested in hashing power, while other half kept for withdrawals. During the past two months, a lot has happened in crypto space, btc has been volatile (as it always does), my current experience with hashflare is positive despite I've some concerns over it (a possible Ponzi scheme). The next I'm planning to do is to contact hashflare directly and raise these questions. Have you been investing with HashFlare.io? What are your thoughts on this cloud mining company? Leave a comment, readers and I would love to hear!